The 66-acre Dallas Arboretum is a perfect place for a fun family photo in Cinderella’s Carriage or a leisurely walk among 150,000 fall-blooming flowers such as chrysanthemums and impatiens during Autumn at the Arboretum. 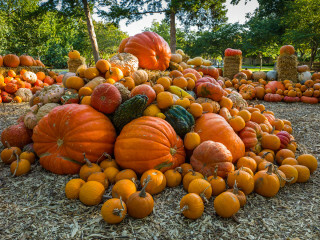 This year, a record 75,000 pumpkins, gourds and squash create the impressive and nationally acclaimed Pumpkin Village – a collection of whimsical pumpkin houses. A multitude of special events take place throughout the festival including a hay bale maze, a pumpkin patch, scavenger hunts, Mommy and Me Mondays, Tiny Tot Tuesdays, special music and more.